Jeff White of Jerry Ford Sales in Edson, Alberta, Canada recently joined the forums and posted a few pictures in our gallery of their take on what should (or could, or would) have been. 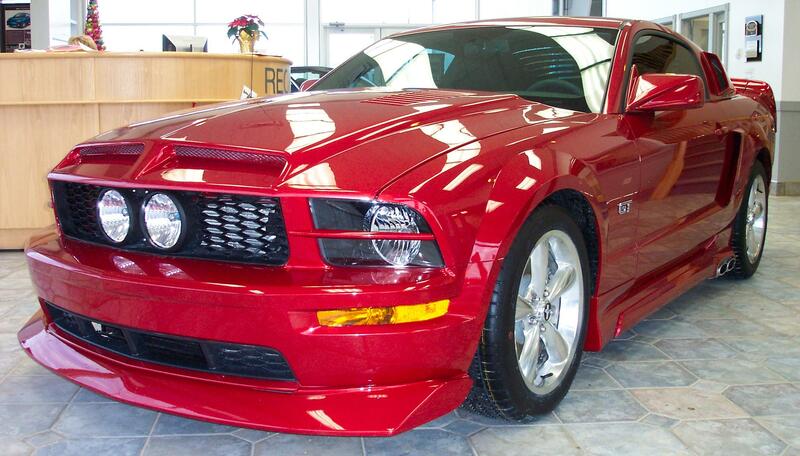 A retro spin where ROUSH meets Cervini and becomes a Mach 1… well, sort of. Amid weeks of rumors and speculation, NBC officially announced yesterday that there will – in fact – be an updated sequel to the hugely popular 80’s series. Originally starring the Hoff behind the wheel of a Pontiac Trans Am, this time they’re righting the wrong by putting Michael Knight in the driver’s seat of a heavily modded Shelby GT500KR. Maybe it was the Giugiaro Concept,or maybe they feel the need to spice things up since Ford’s “shock and awe” barrage of last year’s special edition Mustangs is wearing off. Maybe it was the promise of a refreshed Mustang each year, or maybe it’s the 200% increase in large sunroof productions in the last five years. Or maybe it was because the Corvette did it?